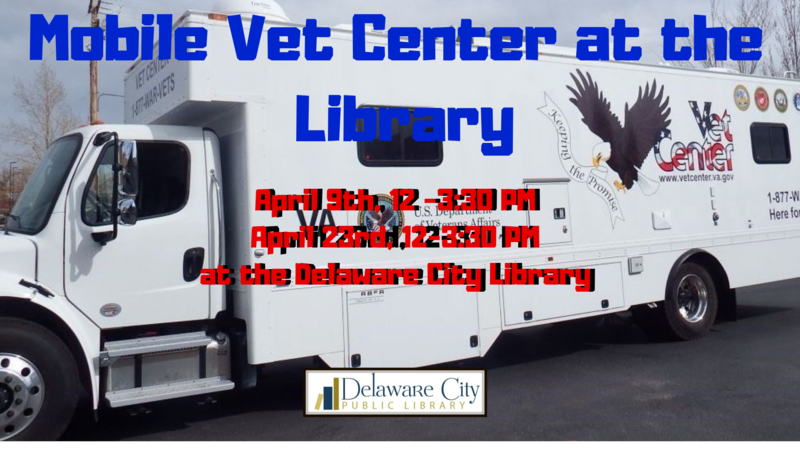 The Sussex County Mobile Vet Center stops by the library to provide local veterans with information on how to access VA benefits and health care. The Mobile Vet Center will be available behind the library building. For more information call 302-834-4148.